Happy Valentines everybody! Unfortunately neither of my furbabies wanted to celebrate with me this year. I think they’re both going through their teenage phase and ran away when I asked if they’d be my valentines. Laser even gave me ‘the look’ which will feature in one of the throwback photos. It’s nice when they’re babies and want to be your valentines isn’t it? sigh. Well, with the lovey dovey stuff out of the way, here’s a look back at what Laser and McLaren were getting up to this time of year in the past. Laser inspecting the crime scene, trying to pretend it wasn’t her that caused the clothes horse to topple. This is ‘the look’ I was speaking about. This is how McLaren greets me every time I get home. I’m literally just in the doorway taking this photo. He then proceeds to grab at me to fuss him. Totally adorable throwbacks – THE LOOK is something we’ve all experienced and it doesn’t take us long to figure out precisely what it means! HAHA HAPPY VALENTINES DAY to all of you from me and Teddy. You sure are cuties! Happy Valentine’s Day from all of us! And co. I missed the and co! 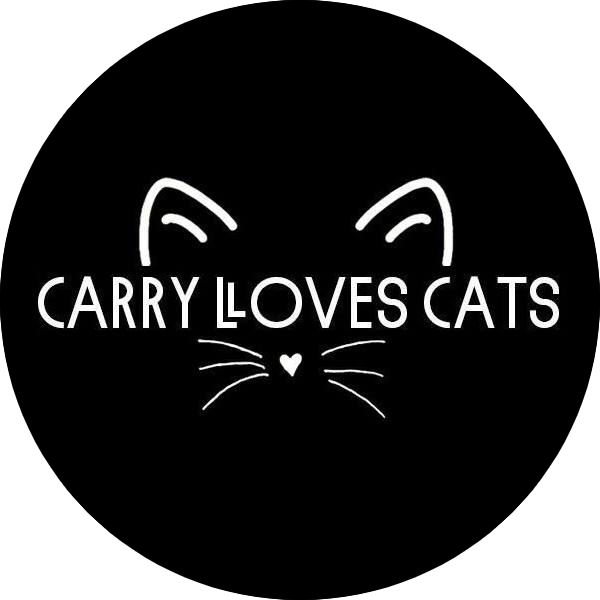 Happy Valentine’s Day, to all at Carry Loves Cats! Laser, that ‘look’ could strip paint off a wall! LOL! Aw, so precious. Your kitties are adorable. I LOVE that paw photo.